Countries must be evaluated for their receptiveness to trade and investment. Look at population size, growth, and density, urban and rural distribution, climate and weather variations, transportation and communication networks, and the use of electricity. A country with a growing population may be a suitable indicator, but you must also look at the ability of the population to purchase imports. If the population’s ability is widely dispersed, reaching consumers will be difficult. On the other hand, if the population is crowded into cities, reaching it will be easy; however, the costs of warehouse space in congested areas may be high. Research the literacy rate and education, health of a population, existence of a middle class, language issues, and cultural issues. For example, if people cannot read labels, then imported goods may have to rely on logos and symbols to create brand recognition and communication with customers. Governments may be hostile to foreigners, foreign goods, and foreign services. Understand the stability of government, attitudes to imports, attitudes towards your country, government involvement in business and trade, and attitudes towards economic growth. Know these economic indicators: GDP per capita growth, balance of payments, currency convertibility and controls, the inflation rate, and saving rate. Real GDP per growth is a good indicator of a country’s receptiveness to imports. You must also understand if the country has a balance of payments problem. If there is a problem, importing will not grow. Be wary if you cannot get your earnings converted into U.S. dollars, and if inflation reduces foreigner’s purchasing power between ordering and the time you are eventually paid. Some economic indicators that suggest a high demand for a short time period include a low savings rate, a trade deficit, and reduced importing. In these cases, you cannot count on long-term success in the country. Barriers to imports, ease of import process, legal protection for patents and trademarks, laws on profits and repatriation of profits, and regulations on labor employed by foreigners. Focus on the process of importing in a country. In countries such as Italy, France, Brazil, India, and China, which are hostile to imports, hassles and red tape sometimes create costly slowdowns for firms. Understand consumer characteristics/needs, availability of complementary products, and availability of suitable sales and support employees. Pinpoint needs for re-engineering. re-sizing, re-packaging, and changing material components. First analyze your company's possible competitive advantages abroad and then decide if you have the financial resources to support exporting. Identify success factors within your domestic market and determine if the same factors, such as price or brand image, can be replicated in foreign markets. Explore expansion possibilities in the domestic market, whether or not to expand at all, or innovating new products for the domestic market. Compare the product or service advantages and disadvantages with those of likely competitors. Some questions you should ask yourself in determining these advantages and disadvantages include: Can we sell the product abroad without changing its form or the manner in which it is marketed? Can we sell the same product but for a different use? Will we have to change product to make it export worthy? Should we develop a new product for targeted foreign markets? Once competitive advantages and the pros and cons of market expansion are determined, determine financial resources to support exporting. You must decide on the price consumers are likely to pay for the product and work backwards to determine the price of your product to importers. Do you want to make a quick profit based on volume sales? Then price your product low. Do you want to establish an image of quality? Then consider pricing your product high. If your firm wants to follow a strategy of learning and long-term growth, then price your product low to a distributor or agent, which will teach you the facets of your new market. Identify market channel lengths. If the path from the export firm is long for example, through an importer, primary wholesaler, secondary wholesaler, and a retailer to the customer- then your wholesale price must be lower than in the case of a shorter channel. How much of a demand is there for your product? Is there a large and emerging middle class that is able to buy your product? What are your competitors charging for this product and based on its attributes, can you charge a different price? Your Company will have to analyze currency value changes and hedge against them. Impending dollar depreciation may allow the your export firm to gradually increase dollar prices. Country and political risks must be considered. Factor in your increased costs of product modification, shipping, insurance, tariffs, and taxes abroad. Included in the price should be your terms of shipping: CIF, FOB, CFR, FAS, etc. You must decide on promotion and advertising activities and other customer communication issues. The operating environment that eventually emerges from planning depends on what your firm has identified as its critical success factors (e.g. price, service, brand, or company image) and on the marketing channels it uses. In Asian countries, for example, American software sellers must establish elaborated pre- and post-sale customer training and support activities. Repair, maintenance, and spare parts issues must be dealt with. The complexity of your product and the level of your service and support offerings will determine the extent of sales force training needed. Warehousing. The Small Business Development Center (SBDC) is wise stop for any small businessperson interested in exporting. Their goal is to help you lay out a strategy to meet your business needs. Basic services are Free. Professor Mike Giambattista shares his professional international business experience and recommendations for exporters seeking to start or increase their efforts. Most large companies have their own exporting department. Exporting details handled include transport analysis, shipping arrangements, documentation, customs, packing/labeling, cargo insurance, and consolidation. Smaller companies often choose to engage freight forwarders or use export management software to guide them through the export procedure. Either freight forwarder services or export management software must be purchased but represent far more economical options for smaller businesses that are unable to dedicate an entire department to the exporting process. 1. Freight forwarders handle the export procedure for companies. 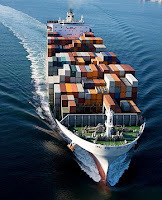 You can find information and price quotes for freight forwarders on many Websites. These sites have useful information ranging from packaging materials to means of transportation to the latest tracking features. Export management software allows you to submit general information between numerous countries (which would have all different forms) in one universal form to submit. It then guides you through a series of questions in order to make sure you are not illegally exporting to certain countries or using inconsistent standards with other countries. The software may also produce a commercial invoice and related documents for you. Examples may be found online at Trade Solutions,Fountainhead, RSI, export software demo. Exporters must arrange for a method of payment and should consider the risk liability, who holds the market power, the level of trust in the relationship/outcome and an examination of the final export product. Payment is to be made up front in cash. Cash in Advance is common when the product is in great demand, when the buyer has poor credit or when the importer's country is unstable. Sight draft - an exporter's bank requests payment directly from the importer's to automatically transfer funds. Time draft - an extension of credit to the importer. The importer can defer payment for a period of time. It is the bank's responsibility for collection and also their reputation on whether or not the payment will be made. There are also site and time versions of drafts for collection. This entails payment on maturity of draft or upon its presentation. Companies may choose to finance their efforts through internal funding from profits or externally through investors, banks, and governments. There are two kinds of financing available for exporting. Working capital loans acquire supplies, develop overseas markets, or build inventories. Transaction loans support specific transactions. In order to acquire these loans, an exporter needs export credit insurance before a bank will provide any type of financing. Companies unable to secure financing from banks can turn to other financing options. Boutiques: Private lenders called boutiques will back export deals deemed too risky by bankers. Although they appear to be an easy solution, they charge high service fees. Factoring: This is the sale of export receivables to a factoring firm, which will undertake collections. A company that handles factoring will transfer the invoice into the importer's currency, pay the exporter, and then collect the payment from the importer. Factoring is mostly used in developed countries where the risk is low and collection is high. All of these methods of financing can be effective but you must analyze your exporting process and the importing country individually to determine the best fit for your company.